This is a square Jetrol Premium porcelain sign. This particular Jetrol Premium sign is predominantly black with white and yellow text. 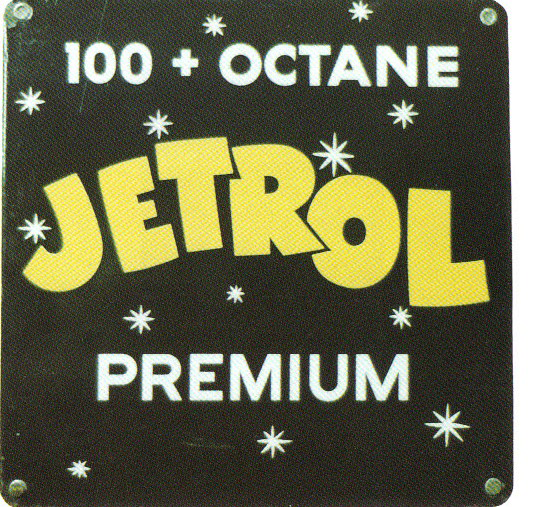 It reads, “100 + Octane, Jetrol Premium” and features several white stars.